. كما يقدم Airlie Apartments الكثير من الخدمات لإغناء رحلتك في المدينة. هذه بعض الخدمات الموجودة في هذا الفندق: خدمة حجز التذاكر, تخزين الأمتعة, واي فاي في المناطق العامة, صف السيارات, التوصيل من وإلى المطار. لقد جهزت هذه الإقامة الفندقية بعناية فائقة لتوفر مستوى عالي من الراحة. في بعض الغرف يجد النزيل تلفزيون بشاشة مسطحة, اتصال لاسلكي بالإنترنت, غرف لغير المدخنين, مكيف هواء, شرفة/ تراس. يقدم الفندق مجموعة رائعة من الخدمات كمثل حمام سباحة خارجي, تدليك, مسبح (للأطفال), حديقة، لجعل إقامتك تجربة لا تنسى. إن Airlie Apartments هو خيار ذكي بالنسبة للمسافرين، فهو يوفر إقامة هادئة ومناسبة للاسترخاء. Nice apartment. Arrived late and tired after travel delays and our greeting was a but curt. 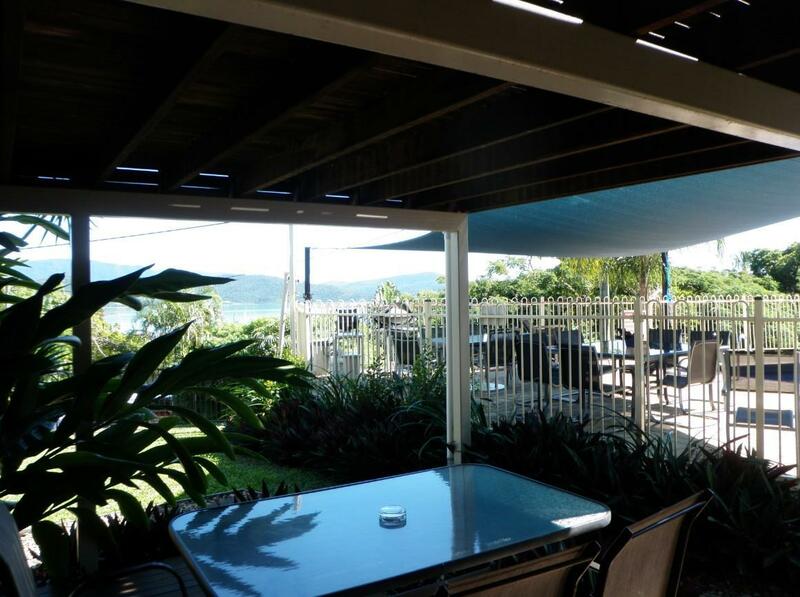 If you want privacy with beautiful ocean views, close to Airlie business district and no noise - this is the place for you! Nice quiet spot with good equiped apartments. Away from the backpacker party area but only a short walk downtown and to the lagoon. Stayed for 4 nights and would come again. Thank you Markus for your kind review. 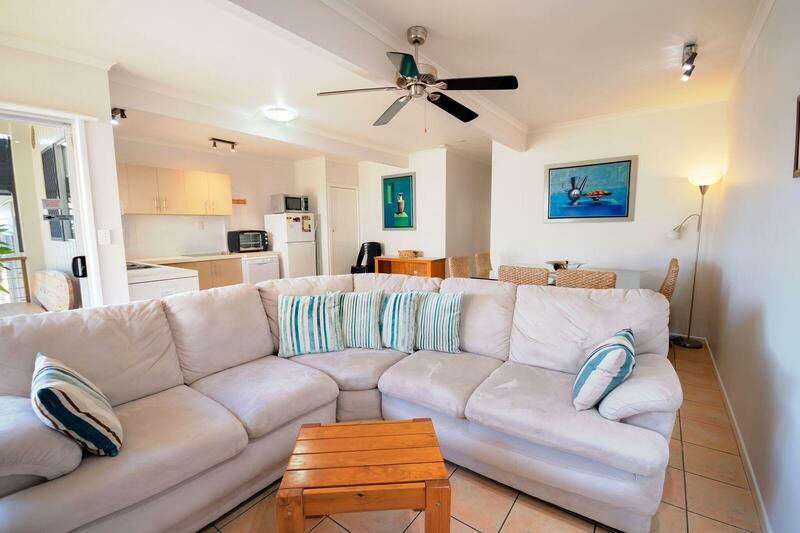 Airlie Apartments are in a quiet location and close to the town that you can walk along the boardwalk and shopping area. Hope to see you again when you are next travelling. Thank you for your review and I think Airlie Apartments is a great find as well. We are not the top of the range however, clean, comfortable, great views from the pool area, & most apartments have a sea view unless it is a garden view or the studio. Thanks for visiting and hope to see you again. Staff are nice. They offer discount in booking day tours. Lovely apartment with sea view. Clean and comfy. 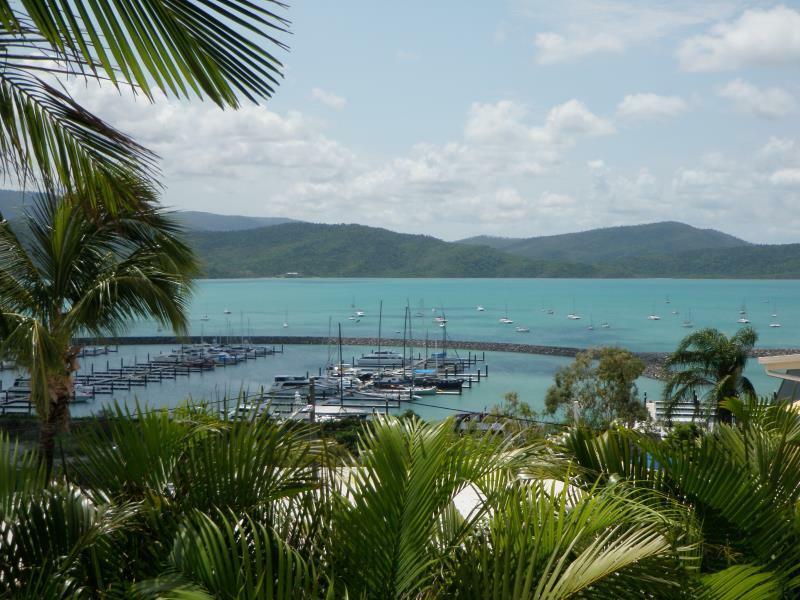 We have our online tour booking service for all day tours in Airlie Beach. You can book at reception or online and we will aim to offer a discount on the tours. Thank you for your review on Airlie Apartments and we are very happy you enjoyed your stay. 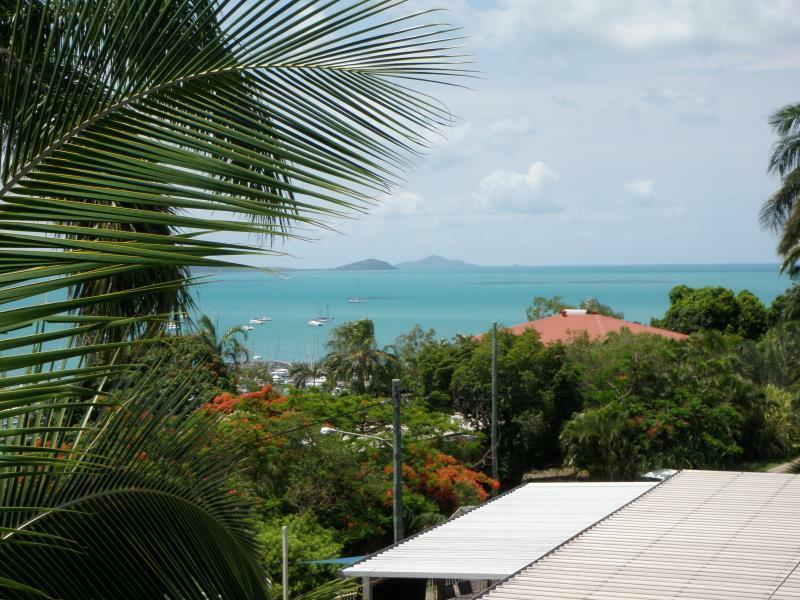 We stayed 4 nights and enjoyed the relaxed feel of Airlie Beach. Swam at the lagoon everyday. Comfortable apartment, good for small children. Great self contained kitchen. We chose a sea view room but didn’t think of the stairs to climb to get to it. Also, the hill to access the apartments from town is quite steep. You can get a taxi back from town but if you like to walk be prepared for a hike. Not recommended if you’re pregnant, expect small children to walk or have a health condition. Overall we had a great stay and Cathy was really helpful. This property is lack of maintenance, the sliding door of the bathroom had fallen off on the ground when I was trying to close it, I almost got killed by the heavy hardwood sliding door!!! The owner came to inspect, kept saying I've to close it really gentle (sounds like it was my fault), the door was just simply not mounted properly on the track! It is disappointing to read your review as I disagree with your comment that there is lack of maintenance at the property. The sliding door is meant as a privacy screen and does not pull all the way to close as it has a stop bracket at the top. It is a barn style type door and has a track at the top and a glide at the bottom. The builder stated it would be very difficult to fall off the track unless it was pushed out instead of sliding along. The apartment has been used regularly for 10 months without a previous problem. It was renovated 10 months ago to add a 3rd bedroom and a bathroom with the sliding door. I will ensure that the housekeeping staff check the door to ensure it is on the tracks at all times. The doors are hollow doors, not solid doors. We love reading happy guest stories! When travelling with a party of 3, we can sometimes assign a 2 bedroom apt to use one of the beds in the second bedroom and make it more comfortable and enjoyable for you. Thanks for the review and glad you had a great time at Airlie Apts. Hope to see you again. At the end of our stay we had wild weather and as a result the airport closed and roads were closed due to flooding. The airline didn't notify us of the cancellation but all information about the situation was given to us by the receptionist at Airlie Apartments. We were given updates over the next two days before we could fly out, we were given accomodation, and a very late checkout on the last day, as we flew out at night. Thank you for the lovely review and it is great to hear that the staff looked after you and kept you updated. Living in a small town we often have contacts on how to get information and how we can assist you. Where we can offer late check outs, we will do our best if the room is not being cleaned or holding the cleaning staff back from their duties. Our wet season can always alter guests travel arrangements temporarily and it is a rare event that it happens. We will also advise guests not to travel if there are impending cyclones as they are not much fun! Hope you made it home safely. The room was fine. There's no elevator. View was fantastic. I didn't use the pool or any other facilities outside the room, as it's during school holiday, and the teenagers partying was like ...These are all fine. But I didn't like the lady at reception recommending tours in an condescending manner, as if I would've been a fool not using their service. The seaview apartments and garden view apartments are via a walk up stairs. We do not have elevator at the apartments. It is rare that I find teenagers partying in the pool. We recommend all tours to guests and ask all guests at check in if they have booked in advance or would like us to assist them. When there are specials given to us they are sometimes not given to overseas agents and we always like to ensure our guests receive the special promotions. We apologise if this came across in the wrong manner as we are only trying to help. We will take more care. Thank you for your review. Staff is really nice and good. Spacious, clean, well equipped apartments. Great location, short walk to main street and beach/lagoon. Great value for money. Pool and BBQ area is fabulous, with amazing views. Hope to return one day. It is like a home away from home and you can spread out in the apartments. It was excellent and wish I could have stayed longer. Definitely a place to go if you like to save money eating out. The Manager was great in giving advice on different tour agents in area and fitting them into my limited stay. I gave food/dining a 3 since they don't have a restaurant but do supply basic cooking condiments and coffee! Holiday apartments are for those that are wanting to self cater and have more space to relax and not feel cramped in a hotel room. Not many properties have restaurants and it is a short walk to the town or you can order in, if you don't want to cook for yourself. Everyone has different expectations. I believe we are good value for money. Loved our stay here. Would stay again. Walking into town easy but a bit of a struggle back up the steep hill in the heat. Parking available so we rented a car which was great. Nice pool. Very pleasing. It was a pleasure to walk in and relax in the apartment. The apartment delivered in everything it offered.